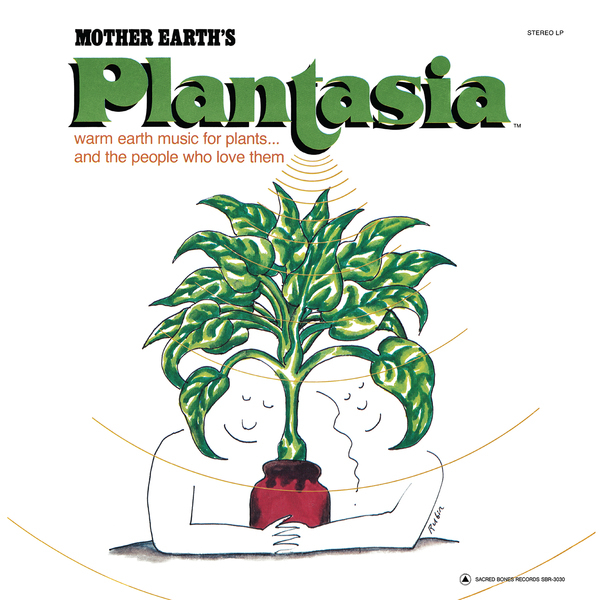 Hearing Plantasia in the 21st century, it seems less an ode to our photosynthesizing friends by Garson and more an homage to his wife, the one with the green thumb that made everything flower around him. "In the mid-1970s, a force of nature swept across the continental United States, cutting across all strata of race and class, rooting in our minds, our homes, our culture. It wasn’t The Exorcist, Goodbye Yellow Brick Road, or even bell-bottoms, but instead a book called The Secret Life of Plants. The work of occultist/former OSS agent Peter Tompkins and former CIA agent/dowsing enthusiast Christopher Bird, the books shot up the bestseller charts and spread like kudzu across the landscape, becoming a phenomenon. Seemingly overnight, the indoor plant business was in full bloom and photosynthetic eukaryotes of every genus were hanging off walls, lording over bookshelves, and basking on sunny window ledges. The science behind Secret Life was specious: plants can hear our prayers, they’re lie detectors, they’re telepathic, able to predict natural disasters and receive signals from distant galaxies. But that didn’t stop millions from buying and nurturing their new plants. “My mom had a lot of plants,” Darmet says. “She didn’t believe in organized religion, she believed the earth was the best thing in the whole world. Whatever created us was incredible.” And she also knew when her husband had a good song, shouting from another room when she heard him humming a good idear. Novel as it might seem, Plantasia is simply full of good tunes. Garson may have given the album away to new plant and bed owners, but a decade later a new generation could hear his music in another surreptitious way. Millions of kids bought The Legend of Zelda for their Nintendo Entertainment System back in 1986 and one distinct 8-bit tune bears more than a passing resemblance to album highlight “Concerto for Philodendron and Pothos.” Garson was never properly credited for it, but he nevertheless subliminally slipped into a new generations’ head, helping kids and plants alike grow. Hearing Plantasia in the 21st century, it seems less an ode to our photosynthesizing friends by Garson and more an homage to his wife, the one with the green thumb that made everything flower around him. “My dad would be totally pleased to know that people are really interested in this music that had no popularity at the time,” Darmet says of Plantasia’s new renaissance. “He would be fascinated by the fact that people are finally understanding and appreciating this part of his musical career that he got no admiration for back then.” Garson seems to be everywhere again, even if he’s not really noticed, just like a houseplant."